The JAZZAlive calendar is full of concerts and educational forums. Please visit the JAZZAlive events calendar online here for full descriptions of events. 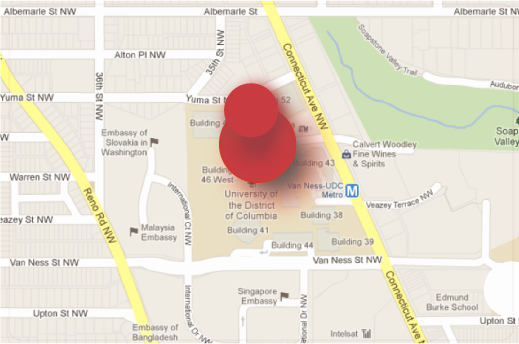 ALL events are FREE, OPEN to the public (unless otherwise noted) and METRO accessible. Archivist, poet, writer, radio broadcaster/producer and currently Jazz Archives Specialist at the Felix E. Grant Jazz Archives, Reuben Jackson, discusses his remarkable career with veteran jazz broadcaster and historian, Rusty Hassan. Join world percussionist Tom Teasley and a leading performer on the Chinese dulcimer and prominent educator and advocate for Chinese traditional music, Chao Tian. Their new project Dong Xi is duo collaboration merging the world of improvised music inspired by Chinese folk and classical music with American jazz and world fusion rhythms. They have recently appeared at The Kennedy Center, TED Talk and will provide music for the next Constellation Theatre production, "The White Snake" in April. Join the jazz ensembles under the direction of Allyn Johnson for our Black History Month celebration. Veteran jazz broadcaster and historian Rusty Hassan has been described by author and Artistic Director of DC Jazz Festival, Willard Jenkins as ". . . one of the warmest, most knowledgeable interviewers in jazz radio . . . one of those cornerstones of the jazz cognoscenti in the DC area." Rusty will discuss his remarkable career with Reuben Jackson. Favorite pianist and UDC Jazz Studies Director Allyn Johnson curates a JAZZAlive series featuring performance and conversation. JAZZforum celebrates the recently published book Washington, DC, Jazz (Images of America) with authors Dr. Regennia N. Williams, Rev. Dr. Sandra Butler-Truesdale, and contributor Willard Jenkins. Washington, DC, Jazz focuses primarily, on the history of straight-ahead jazz, using oral histories, materials from the William P. Gottlieb Collection at the Library of Congress, the Felix E. Grant Jazz Archives at the University of the District of Columbia, and Smithsonian Jazz. This volume also features the work of photographers Nathaniel Rhodes, Michael Wilderman, and Lawrence A. Randall with a foreward by Willard Jenkins. Jazz ensembles under the direction of Allyn Johnson celebrate Jazz Appreciation Month in a variety of flavors. The Calvin Jones BIG BAND Jazz Festival celebrates 33 years of world-class jazz at the University of the District of Columbia. The Big Band sound returns to UDC as the powerhouse jazz ensembles from the University of the District of Columbia (directed by Allyn Johnson), Howard University (directed by Fred Irby III) and the University of Maryland (directed by Tim Powell), cap off Jazz Appreciation Month with a special tribute to the late Chris Vadala who directed the UMD Jazz Ensemble for 25 years of outstanding performances at the festival. 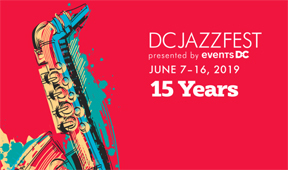 Produced by UDC's Jazz Studies Program and the Felix E. Grant Jazz Archives, the festival began in 1987 as part of a citywide tribute to Duke Ellington, and it remains one of the most anticipated events on Washington, DC's jazz calendar. Scholarship Benefit Series. UNIVERSITY AUDITORIUM (Theatre of the Arts—Bldg. 46-East). Tickets are $20 (general admission), $15 (seniors), and $10 (students) and can be purchased in advance at the UDC Music Program, Performing Arts-Bldg. 46-West or online at InstantSeats.com. Since 2005, the DC Jazz Festival organization has provided enriching and entertaining jazz performances and programs that introduce students and adults from all walks of life to jazz, our nation's singular original art form. The festival presents a selection of the jazz genre's most acclaimed artists as well as emerging artists, and provides enhanced exposure for the rich treasure trove of musicians from the Washington, DC area. Throughout the year, the DC Jazz Festival nourishes the community with free educational programs that extend our reach into underserved communities and enhance the quality of life for DC public and charter school students. 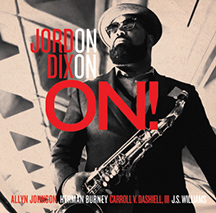 JAZZAlive celebrates DC Jazz Festival&apos;s Jazz in the &apos;Hoods and tenor saxophonist Jordon Dixon&apos;s new release "ON!" featuring Allyn Johnson on piano, Herman Burney on bass, CV Dashiell III on drums and JS Williams on trumpet. Please note that all events, dates, and times listed are subject to change. Additional events may be scheduled throughout the year. Unless otherwise noted, all programs are FREE and OPEN to the public.